Nothing for 6 months and then two posts in one night! I'm not sure of the cost, but Nanseikan members are all encouraged to take part in as many sessions as they have time for. 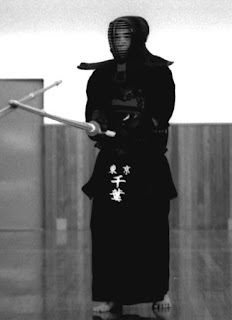 Chiba sensei is Hanshi 8-dan in kendo, 3-time All Japan champion, and former Head of the Tokyo Metro Police Kendo Dept. He is one of the most highly regarded and famous kendo sensei in Japan. So famous in fact, that most Japanese kendoka would never have the opportunity to train with him, but only see him in magazines and DVDs.